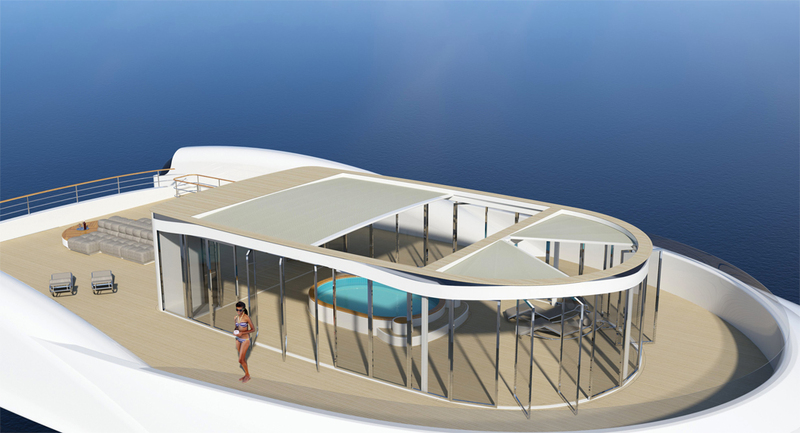 MetamorphosA transforms a full flush deck into an enclosed area for comfortable relaxation. 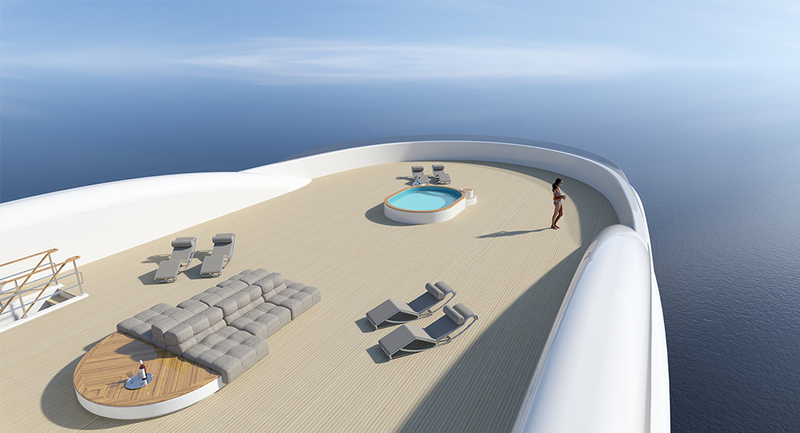 This is a new sundeck concept for the next generation of superyacht. When the weather is good, the full deck is available for relaxation with MetamorphosA equipment stored out of sight in a compact box below the deck level. As the weather suddenly changes or night falls, the metamorphosis of the MetamorphosA takes place. 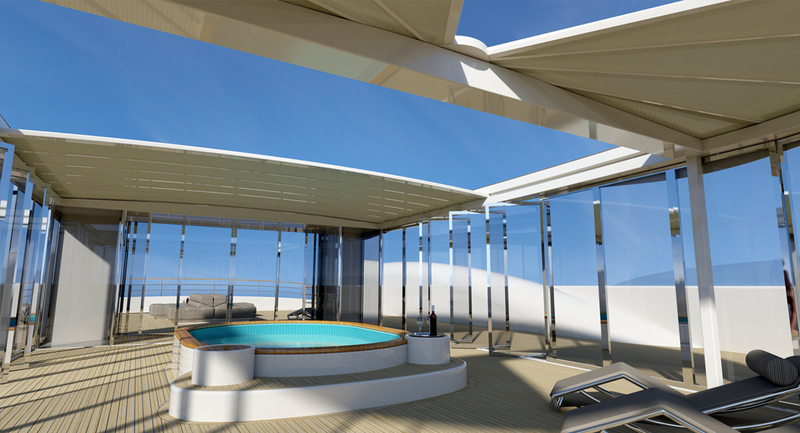 Seemingly out of nowhere a complete structure made of an weatherproof roof surrounded by windscreen panels, is raised from the deck creating a fully protected area. The options for (partial) closure are various; the roof can be closed or partially closed, while the glass windbreak panels are open. 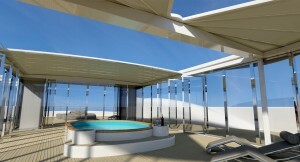 The glass windbreak panels can be partially closed independent from the roof. 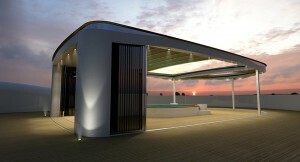 Ultimately, the entire area can be closed, creating a large space, which can be used day or night, rain or shine. MetamorphosA is a co-operation between Amber Dynamic Sun Design (www.ambersundesign.nl) and Alukwa.